Are a new Musixmatch contributor?! Welcome on the Musixmatch Forum! Please say "Hello" in your language (Salut!, Ciao!, ¡Hola, 안녕하세요. etc), introduce yourself in English (your name, country, known languages, etc) and share with us your ideas about Musixmatch (pros and cons). Good Day Everyone, My name is Lawal Nurudeen. I'm a Nigerian. Music is my best pal, I'm a curator on Musixmatch. I love meeting new people. If you need help going around Musixmatch, I'm the man u need. my name is Mark and I'm living in Belgium. My first contact with Musicmatch happened today, when I was looking for lyrics of my favourites; Pink Floyd, David Gilmour. I'm learning to play there songs, and knowing the right lyrics is substancial to my performance on guitar. I'm glad to meet and read souls with the same interst for music and lyrics. My native lanuage is Dutch. But I'm gready to learn. So now I've got some experience with English, Spanish and French. Hi, I'm Omar, I live in the US, nice to meet you! I love many hip-hop and pop-punk artists, I try to beatbox a little and I want to find friends to hang out with. Some of you have really cool Instagram profiles. You might find useful this app for managing your account: https://zen-promo.com/instagram_analytic. That really helped to boost my account as I'm also a beginner in music production and I really-really-really need people interested in my art! Spotify integration doesn't work in windows app. ERROR: Connected but still not showing spotify lyrics. Any reconnect attempts yield same results. ERROR: Musixmatch crashes on launch after computer reboot. Step 11: Cry and retry from step1 with same results. Congrats for your first contribution, but I don't seem to peer your name on the actual lyrics for the track. in case you aren't familiar with a way to add lyrics, you actually look for the tune on the primary MusixMatch internet site, search for the music (or use the app for your smartphone or computer) and add lyrics from there. I am Mohd Salman a user of MusixMatch. Im usually hooked with Musixmatch so i tried for myself and Im amazed with it's cool features. Using this for almost a year... or a year if so, cant remember. Now as a curator several days from now. What am I looking forward to: Im expecting to have a good relationship with everyone and Musixmatch to provide the best lyrics catalog. Im hoping that i can help everyone as i can. Hello MusixMatch! First time on the forums, but I've been around MusixMatch on-and-off for awhile. My name is Wrexie, and I'm a freelance domestic illustrator. And I'm from the Seattle area (Washington, USA), born and raised! I've been using Musixmatch for years now to understand lyrics and keep me engaged in songs. This site has enabled me to sit down and listen to music in ways that nothing else has before! ... Also I'm looking forward to correcting/adding lyrics to songs I love, and improving them for syncing. Thanks Sam, I will do that. @lee-michael Hello Lee Michael! 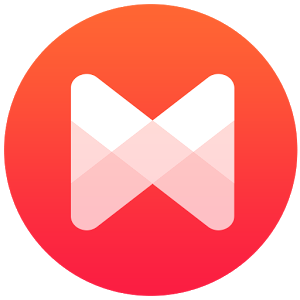 Welcome to the MusixMatch Community! Congrats on your first contribution, however I don't seem to see your name on the actual lyrics for the song. If you are not familiar with how to add lyrics, you simply search for the song on the main MusixMatch website, search for the song (or use the app on your smartphone or desktop) and add lyrics from there. Again welcome to the MusixMatch community! Thanks for welcoming me to the community. I live for music and have done so for most of my 62 years. I’m a bit of a fanatic when it comes to incorrect lyrics being posted on various sites etc. Having said that, I would like to make my first contribution. Wonderful World by Solomon Grey. Having lots of fun correcting, adding, syncing and reviewing lyrics! On my way to being a hero, bring it on!! Having all kinds of trouble with the app. Don't understand what is going on. I need help. Looking to fix my spotify, as of now when I launch the app on windows MusixMatch pops up but its just a purple screen but there is no Spotify connect button..
Could you delete the artist created that does not exist? How can I report other artists that, like this one, were added wrongly? @cheezheng-chan did u have a solution ? What do i do if i can't reply in lyrics discussion but locked lyrics are wrong? Step 5: Now connection popup work, fill out musixmatch details. Step 7: New kind of connect dialog appears that seems to belong to Spotify. Fill it out. Step 8: Restart app, nope, no luck, connected but still not showing spotify lyrics. @muhammad-saufi I am having just the same problem. It started when the app updated somewhere in June or May. Some songs were added two times... How do I tell you for you to correct it?